It used to be that when a hunter took cover on the ground, he laid on the ground and covered himself with available foliage. These days, there are layout blinds, so you don’t actually have to touch the ground and you can stay comfy warm. If you use a layout blind, you know there are a few critical aspects that make some better than others. The following five blinds are the best available in our opinion when considering weight, space, cast shadow, functionality and comfort. The Avery Outdoor Finisher Blind weighs 18 pounds and has six different height settings. 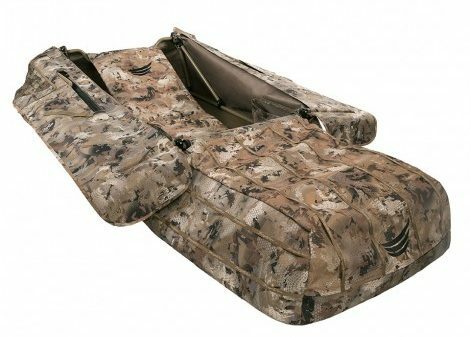 It comes in three camouflage tones and is versatile to every hunt. The frame is all aluminum with aluminum hinges, and it’s equipped with mesh windows. For added comfort the Finisher features a drop down head rest. 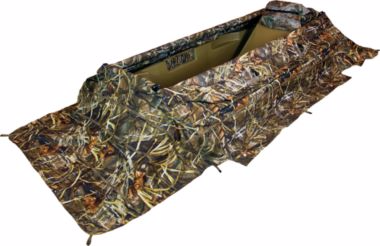 If you’re looking for the H3 of layout blinds the Beavertail Predator XCS is for you. It’s 78 inches long and weighs 50 lbs. Hiking around with this blind is not a walk in the park. 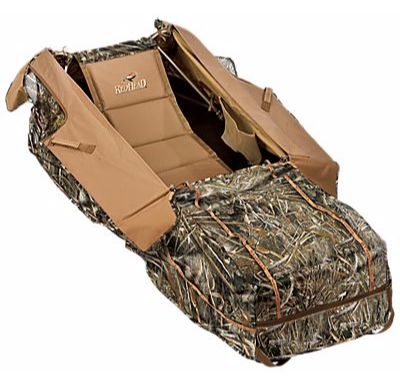 But once you’re in it, you’ll enjoy its head rest, foot locks and elbow pads, along with easy access shell holder. It has an aluminum tub frame and is entirely weatherproof. Best of all, it hides you and you’re dog! 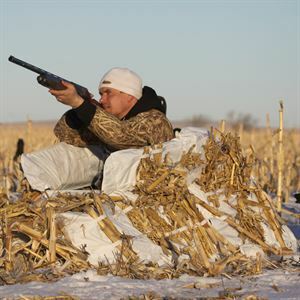 The Tanglefree Deadzone blind was designed for the taller hunter. At 84 inches in length the Deadzone weighs only 19 lbs. Set up is quick and easy. Moving the blind around when assembled with the corrosion free aluminum drag handle. The Deadzone comes complete snow cover for the tundra hunter. Weighing in at only 15 lbs. the RedHead Deluxe is the lightest on the list. The aluminum frame breaks down real easy and the shell features straps to attach natural grass or stubble. The RedHead Deluxe may not last a lifetime but in a pinch, it’s a good pickup for a weekend hunt. 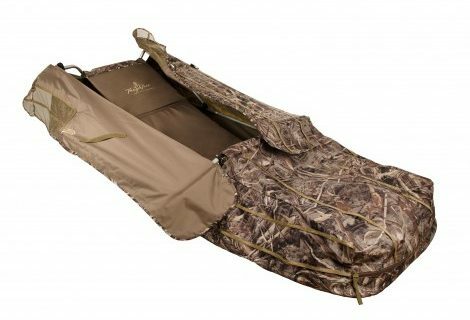 The newest of the Flight Series Blinds by Tanglefree features camo interior walls, waterproofed zippered flagging ports, adjustable back rest, and back rest attaching buckles. It’s 84 inches long and weighs 19 pounds. It was designed to widen gradually casting less of a shadow. There is a bit more room inside than a conventional blind of its size, again, good for the dog owner.